This media release about research into the live coral trade was issued jointly by the Aquarium, Boston University, Roger Williams University and Conservation International. Read more in the New York Times Green Blog. The international trade in corals used to be primarily a curio trade of dried skeletons, but now focuses on live corals for the marine reef aquarium trade. A team of Roger Williams University (RWU), Boston University (BU), Conservation International(CI), and the New England Aquarium (NEAq) researchers has been studying this relatively new development and have published their findings about this unique trade and its long-term implications. The article, “Long-term trends of coral imports into the United States indicate future opportunities for ecosystem and societal benefits,” appears in the December issue of the journal Conservation Letters. In their article, the researchers highlight this dichotomy and demonstrate that recent changes in the trade of live corals for the reef aquarium hobby are resulting in new opportunities for conservation. “The trade has moved from a wild harvest to mariculture production, a change sparked by long-term efforts to produce a sustainable income to small island countries such as the Solomon Islands and also by the government of Indonesia,” says Rhyne. This shift from a wild fishery to a mariculture product poses new opportunities and challenges for conservationists. 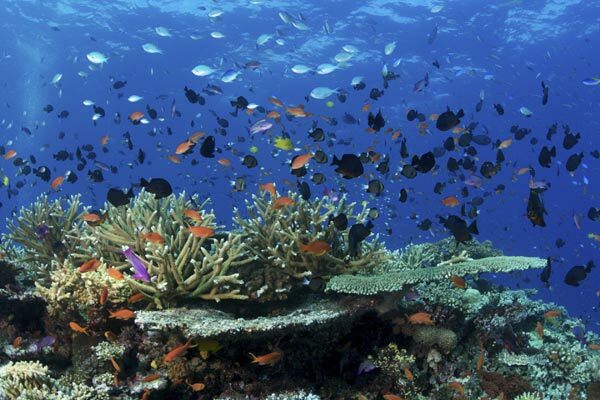 Coinciding with the publication of this study, the National Ocean and Atmospheric Administration (NOAA) has just proposed to protect 66 stony corals under the Endangered Species Act (ESA). 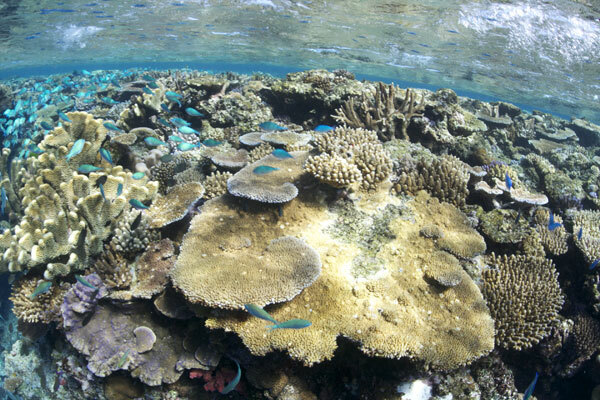 An unintended consequence of this ESA listing would be to eliminate the benefits of the trade revealed by the study, which include elevated value for intact coral reefs, and an income source that is sorely needed in these island nations where hundreds of millions of people rely on reef resources for subsistence. According to the researchers, the trade is still rapidly evolving, creating challenges, such as the addition of new species that outpace effective management strategies. “New species in the live coral trade initially command high prices, but as they become common the price drops with feedback effects to the trade,” said Les Kaufman, co-author and Boston University professor of biology and research fellow at Conservation International. 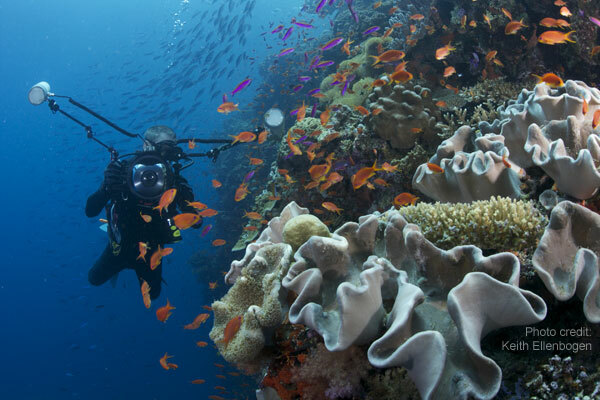 “The live coral trade offers opportunities for coral reef ecosystem conservation and sustainable economic benefits to coastal communities,” says Andrew Rhyne, lead-author and Roger Williams University assistant professor of marine biology and research scientist at the New England Aquarium. Co-author, Michael Tlusty of the New England Aquarium adds, “that the realization of these externalities will require effective data tracking”. 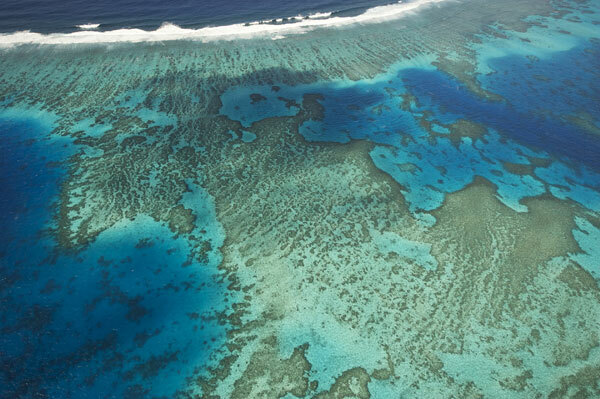 While western countries are the source of the major threats to these corals reefs (because of globally-distributed carbon emissions), island nations have more than income at stake. Trade can be a powerful conservation incentive, but this emerging local conservation tool is at risk of being lost due to the well-intended but rigid rules of the ESA, here invoked to protect corals and coral reefs globally from the billions of tons of carbon released into the atmosphere by developed nations. A more selective regulatory approach that gives credit to local efforts to manage reef resources wisely may be warranted.